Water for irrigation has always been a problem for the people of New Khimiyang village in Changlang District of Arunachal Pradesh. 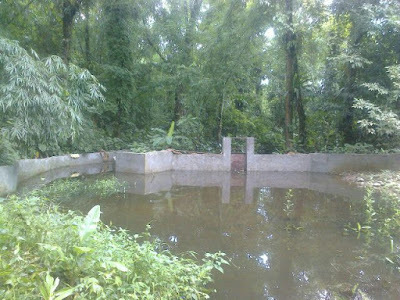 Scarcity of irrigation water compelled the community to depend on rains for agricultural purpose. Given the present trend of erratic rainfalls, the farmers were compelled to abandon their fields due to severe draughts in lean seasons. “We were not able to cultivate our field as per our needs and were wondering if ever we could overcome this grim situation”, said Nganjong Tekhil, Gaon Bura (village headman) of the village. This was an unavoidable challenge that the community was face with and they looked quite demoralised for the reason that they cannot cultivate as per their demand. Meanwhile, Seva Kendra Arunachal (East) SKA (E), has been working in this village since 2013 under the FARM project. SKA (E) was aware of the problem faced by the community and was motivating them to take up the issue by themselves with the Government authorities. Team SKA (E) saw the flame of motivation being ignited in a few youths of the village and it was Reybo Rekhung, the Anchal Samiti Member (ASM), who took the lead. The ASM along with a few others tried best to motivate the people and held several rounds of meetings in the month of August 2014 on how best the problem of water scarcity could e addressed. “I feel contented about what I have done to motivate my own people”, said Mr. Reybo Rekhung. It was just a matter of time when people started developing interest towards the cause knowing the fact that it would benefit them and also would put a permanent end to their sufferings. Reybo and his friends have made us realise the fact that if we work together for a common cause, we may bring about the change that we desire to see”, said Ms. Sengwan Tangha. The people of Khimiyang village decided that they would collectively approach the Government for a water reservoir from which the water could be channelized to the fields. Team SKA (E) was supporting the community all efforts like facilitations. “We decided that we would rather directly approach the local MLA than anyone else” said Kangsam Kinhum. On 3rd September 2014, a group of people led by Reybo approached the Local MLA at Miao with a formal letter requesting his attention towards the issue raise y them. The MLA assured them that he would look into the issue. The community met the MLA again on 15th October 2014 to their utter happiness the saw the MLA forwarding their letter to the Department of Water Resources, Government of Arunachal Pradesh. “We could not believe things happening so fast” said Ms Singhom Songkho. The Department of Water Resources swung into action and while approving the request, sanctioned the work within a month on 17th November 2014. “I am overwhelmed with this good news that we will have proper water supply for our agriculture from now on”, said Songlang Sungkho. The confident looking community of Khimiyang village did not leave it there. They met again to ensure proper and smooth functional of the reservoir and the canal so that that there no delays. The community also volunteered to contribute labour for construction. The work was finally completed on 20th May 2014. 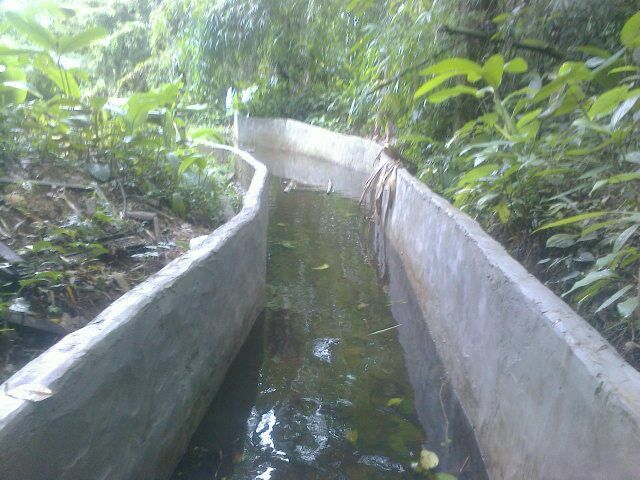 Farmers of Khimiyang village are able to irrigate their fields from the canal that was a result of their collective actions.